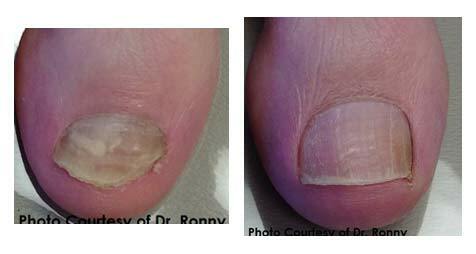 In the past the only ways to cure toenail fungus involved oral medications, sprays and creams that unfortunately take very long to see results or have no results. 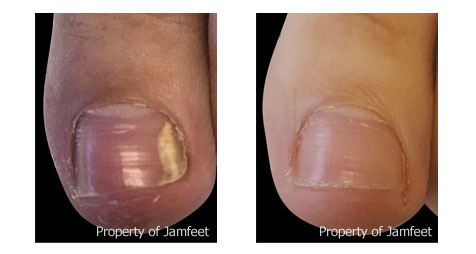 Currently there is treatment proven to help cure toenail fungus that is better than sprays and creams but not as drastic as foot surgery. 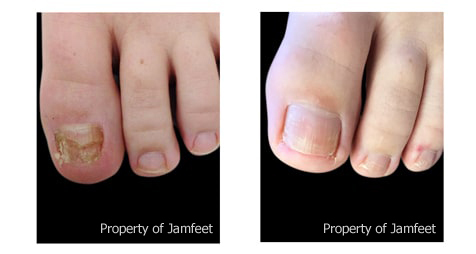 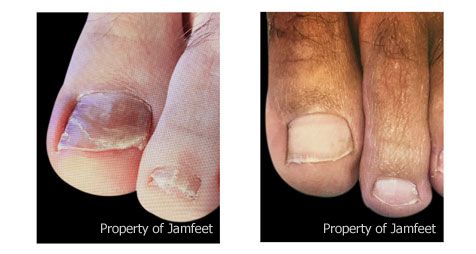 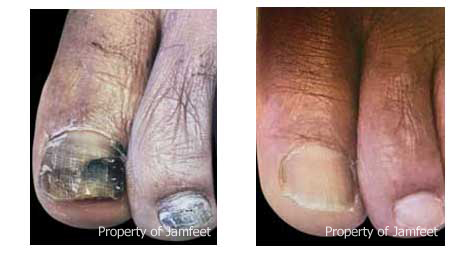 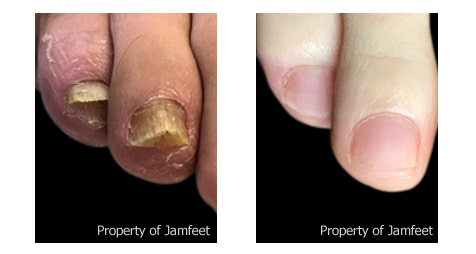 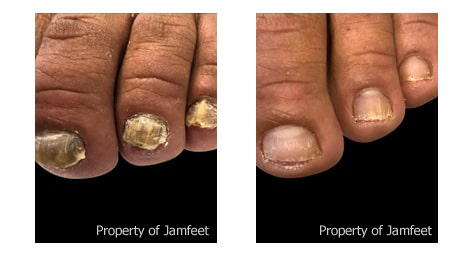 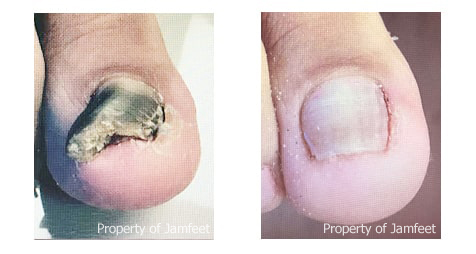 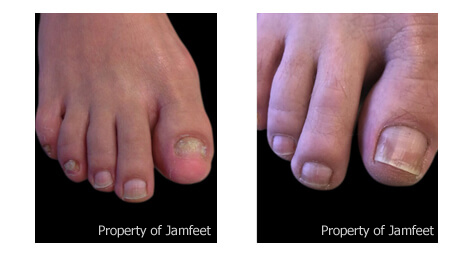 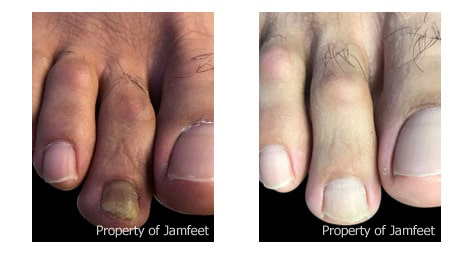 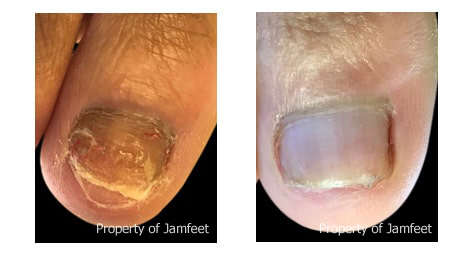 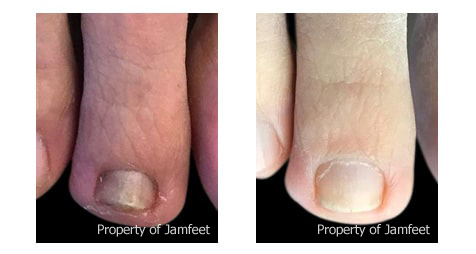 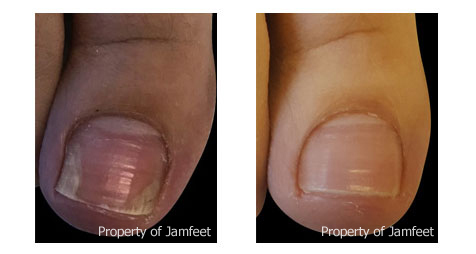 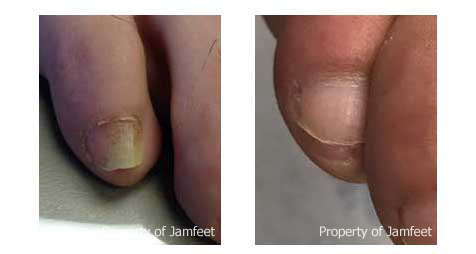 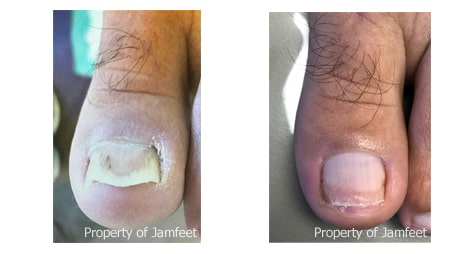 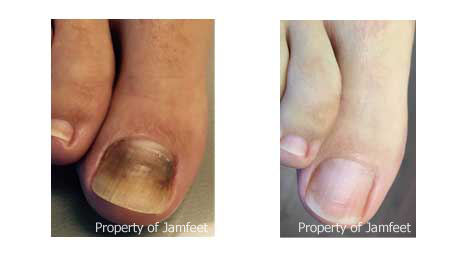 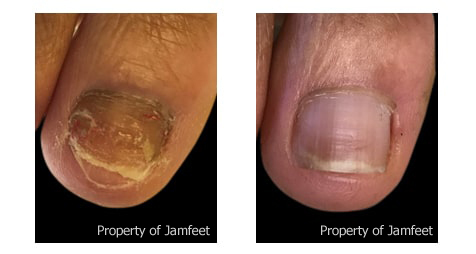 The unique laser procedure is a revolutionary breakthrough in treating the nail fungus; it does not cause injury or harm normal tissue and skin. 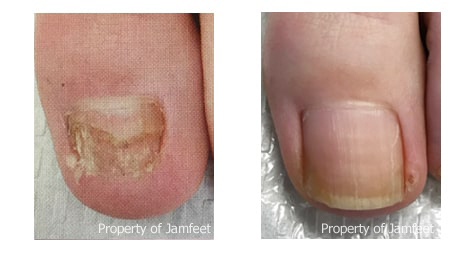 The cool touch laser is a breakthrough in treating thick toenail fungal infections that are involved in 20% of the population. 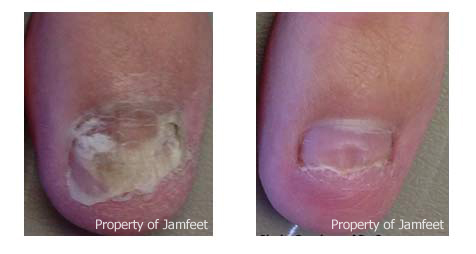 The laser does not cause cuts or burns and thus has the advantage of patients being treated without reported pain. 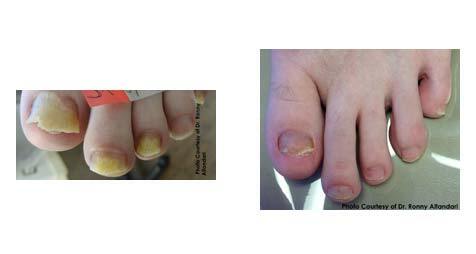 There is only some mild tolerable warming of the nail which most patients do not feel or complain of. 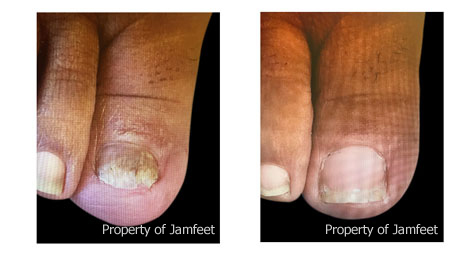 The studies which have been done are extremely encouraging, and to date, no known side effects have been found. 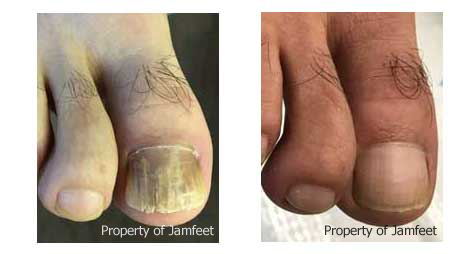 Long-term effects seem just as promising. 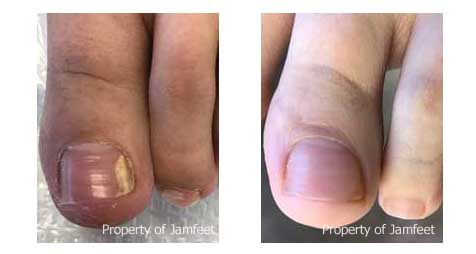 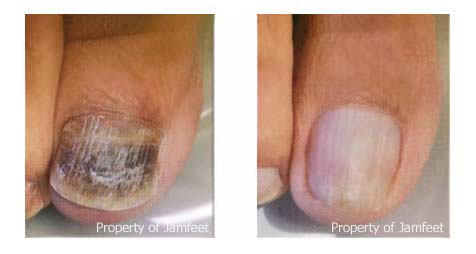 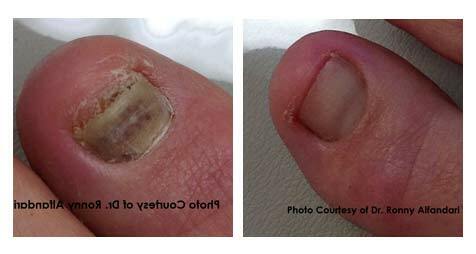 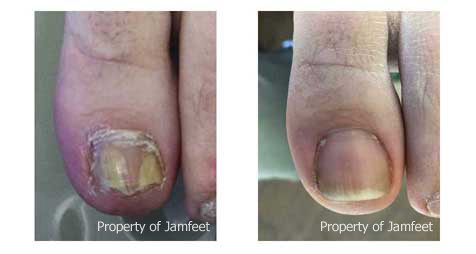 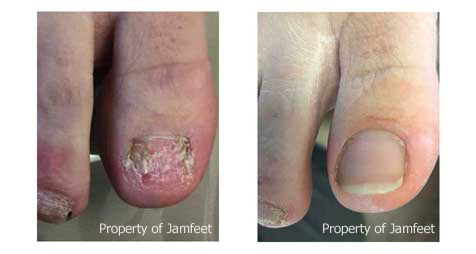 Coupled with good hygiene of the toes, and follow up treatment with a topical cream such as FORMULA 3 NAIL FUNGUS SOLUTION, the patient should experience good, long-term result in the elimination of the toe nail fungus. 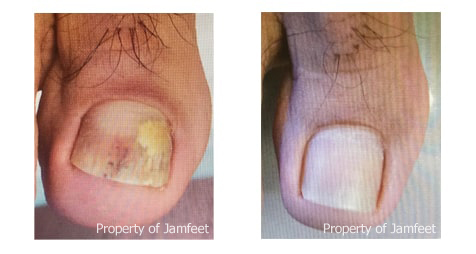 This treatment prevents the cost and risk associated with oral medications which can be toxic to the liver and cause undesirable side effects. 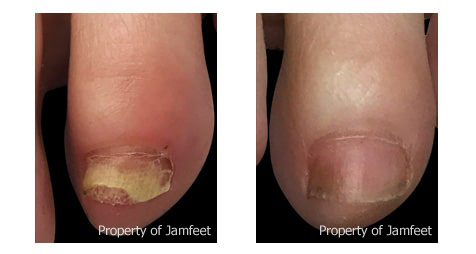 This procedure surpasses those of the more dangerous medications with an effective success rate between 88-89% in clinical studies showing the fungus to be destroyed, safely. 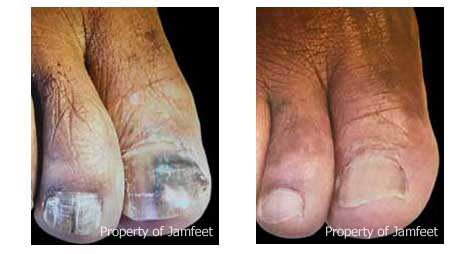 Call us at 310 579 2080 (WALK) to schedule a consultation or for specific questions. 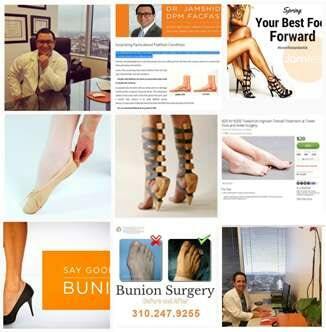 Our staff is looking forward to meeting with you. 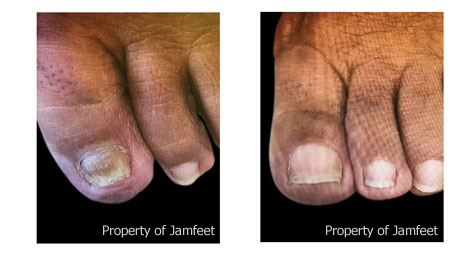 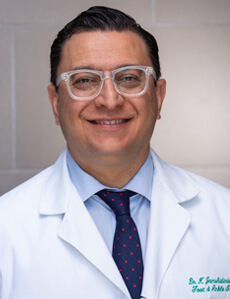 Come in for a consultation during your lunch break or on Saturday and Dr. Jamshidinia will take time to evaluate your individual foot problem. 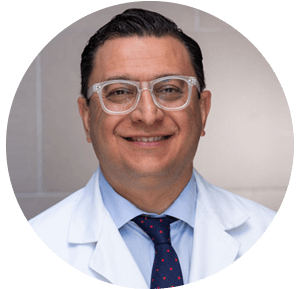 Our offices are centrally located and all easily accessible with many nearby hospitals and parking.